BULLDOG AUTO TRANSPORT has been delivering since we opened in 2005. Our goal is to provide both a superior customer experience and deliver your car safe and on time. That’s what what we’re all about. OUR TEAM is COMMITTED to get you from here to there by offering an affordable but competitive rate, whether you’re a valued returning client or first-time shipper. AS AN AUTO TRANSPORT INDUSTRY LEADER we are passionate about exceeding your expectations. WE WANT TO LIVE UP TO YOUR EXPECTATIONS, we want you to come back, to recommend future customers, we want to serve you well. We want to make you happy. That is why we started Bulldog Trucking and Bulldog Auto Transport. Because we think that shipping a car shouldn’t have any secrets and should be simple, easy and affordable. Because a higher standard is possible. Because you deserve it. Because we care. We began with a single truck and a trailer. More than 10 years later, Bulldog Trucking is now a full-service carrier with a fleet of 12 trucks. Our fleet services the upper Midwest, including Missouri, Illinois, southern Wisconsin, Michigan, Ohio and Indiana, and desert Southwest, including Oklahoma, west Texas, New Mexico, Arizona and southern Nevada. 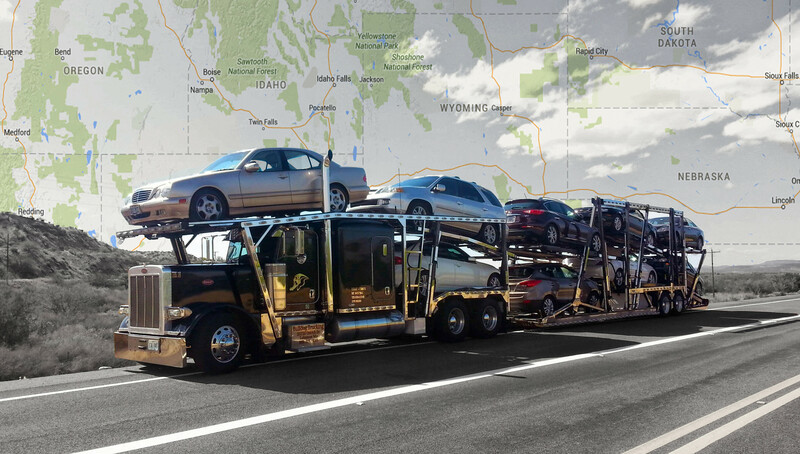 Bulldog Auto Transport, with a vast network of trusted transport partners, offers nationwide service. We’re a carrier first and foremost, but if our trucks do not service your route, we can set up and manage your transport with an outside carrier. Each outside carrier is carefully evaluated and vetted to ensure your vehicle is in good hands. We’re with you from booking to delivery to provide updates and a line of communication. And unlike other companies who only offer brokering services, we will not charge inflated fees to use a carrier within out network. WE LOVE OUR CUSTOMERS AND WELCOME FEEDBACK AND SUGGESTIONS.